Get ready to dance and sing in Lucca in July! 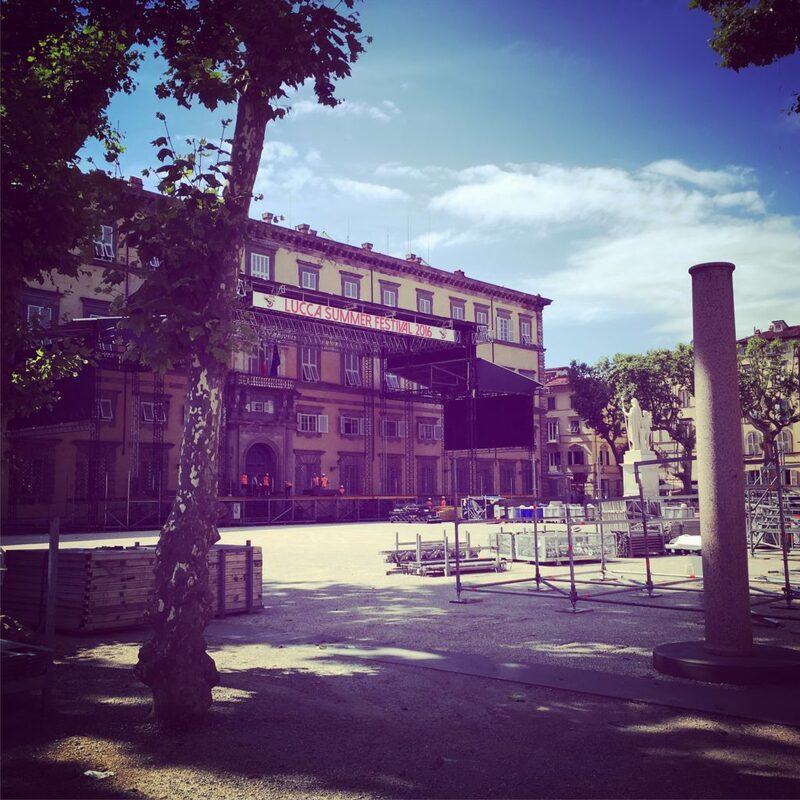 Piazza Napoleone will become an open air dancefloor and a concert stage. It is one of my favourite event maybe because it reminds me that these were the first concerts I have ever been to when I was little bit younger: The Cranberries, Alanis Morisette, Giorgia etc… I could not believe these artists were performing in my city, usually they choose Florence, Milan and Rome and my parents didn’t let me go so far! Lucca Summer Festival has become more important every year, now there is excitement and suspense during the winter as the names are slowly released. There is even a Facebook fan support group! The location is superb, very central, close to the train station, a row of sycamore trees all the way around and plenty of cafes, bars and a couple of restaurants nearby to stop for a drink or a bite before or after the gig. I enjoy to see the different kinds of audiences: the screaming 16.000 girls for Robbie Williams last year, the sweet fans of Laura Pausini who camped the night before to be the first to get in, the incredible sound of Elton John, the crazy dancing night for the Chic (I did not know they are the authors of so many popular songs! ), the not so happy comments after Bob Dylan performance. I like to read on the newspapers the rumors to find out where each artist is staying and doing, the complaints and arguments for the huge advertisement in front of the walls, the crazy idea of removing temporarily the statue! I have just moved in this area last December, so I guess this year I will just need to open my window to listen to the music but I am thinking to buy tickets for one or two nights. I will definitely be an outside listener … as you can imagine they try to close the square as much as possible with high fences and panels but whatever you do you cannot stop the sound, so many Lucchese people stay in the streets or in the little Giglio square to eardrop.